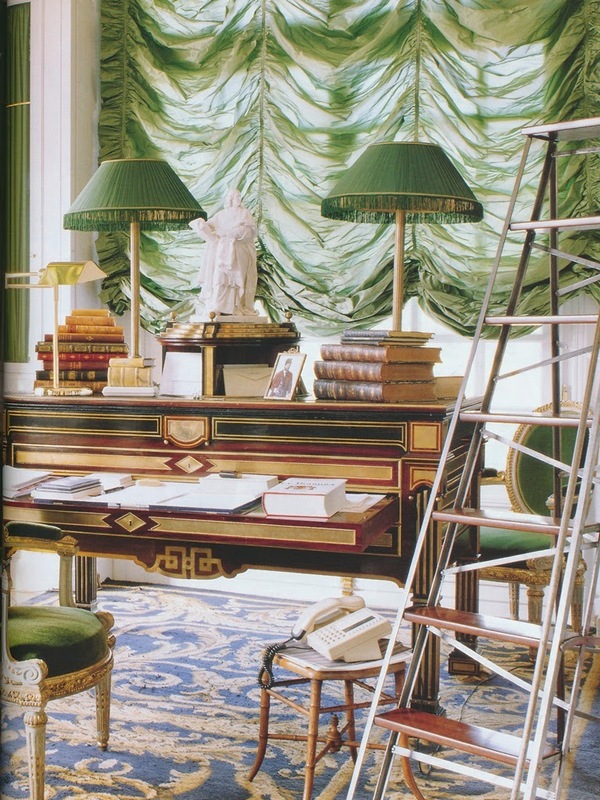 Look at any book on elegant French interiors, and you'll likely find a number of rooms where the color green dominates. Not any old green, mind you, but sumptuous shades like bottle green, forest green, and emerald. These rich greens typically aren't introduced into a room through anything as mundane as wall paint. Instead, they appear in the guise of luxurious fabrics, such as velvet, silk, and damask. And I can't forget to mention lamp shades. 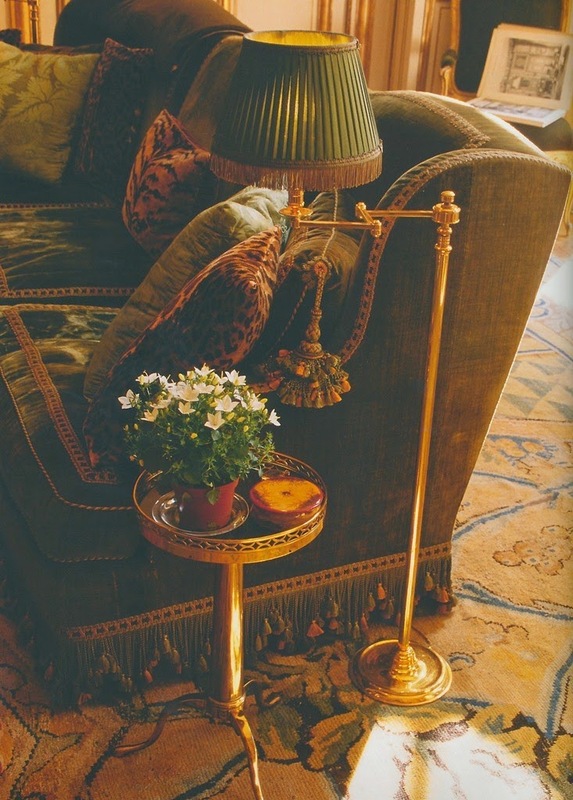 In handsome French homes, many a lamp is adorned with a shade made of splendid green silk. It's enough to make you pea green with envy, no? I most associate Hubert de Givenchy with these sophisticated shades of green. 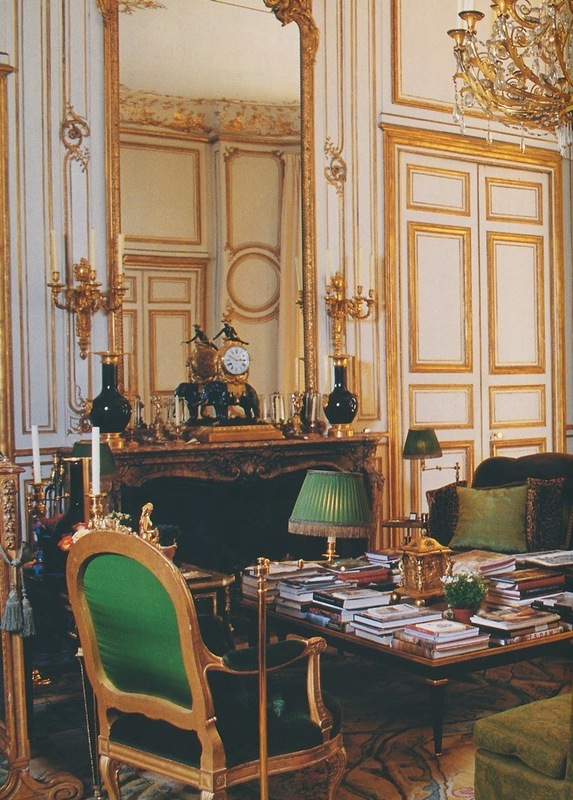 Peruse the various rooms of his Paris hôtel particulier, and you'll see that M. de Givenchy seems drawn to green velvets as well as green silk lamp shades. 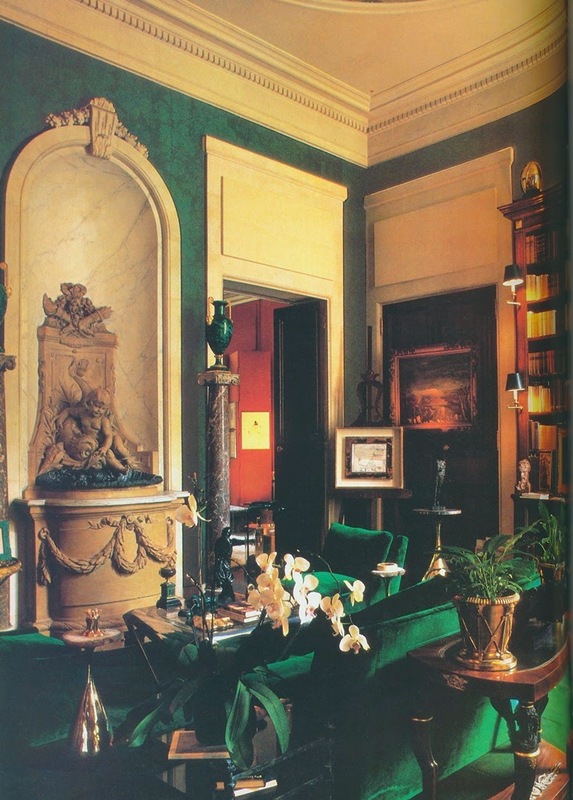 And Henri Samuel and Alberto Pinto, those late-yet-still-lauded French interior designers, often used green in their design work, namely emerald velvet. So what is the attraction to these dignified shades of green? Well, taken at face value, they can be quite attractive. 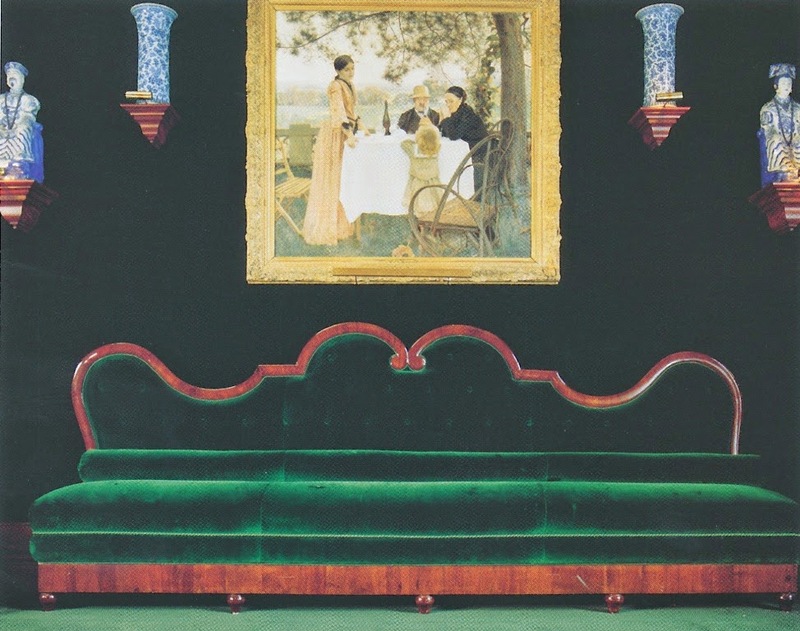 But I also suspect that deep-bodied greens, especially in the form of velvets and silks, are often chosen because they recall lavish nineteenth-century decor, which remains an exemplar of elegance still today. 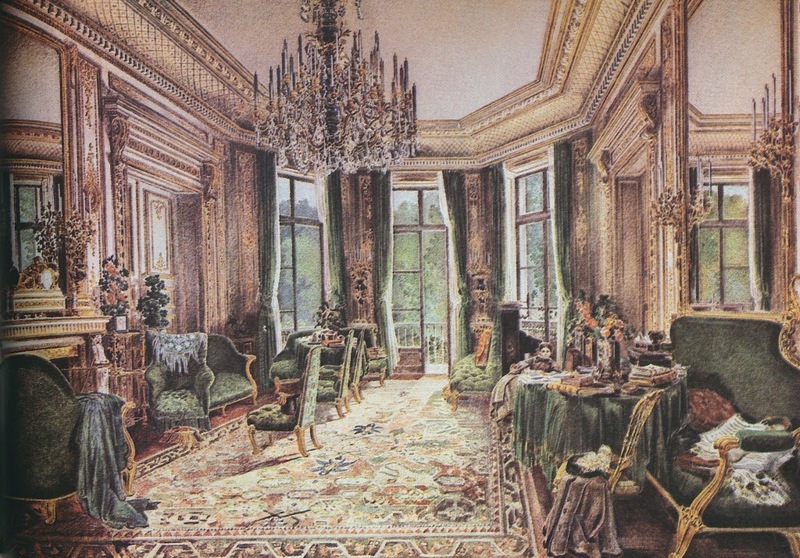 I have included an image of an early 1860s watercolor, Living Room in Second Empire Style, which depicts a well-appointed room that is awash in green fabrics. It really doesn't look much different from some of the recently taken photos featured below, a testament to the classic good looks of those luxurious greens. 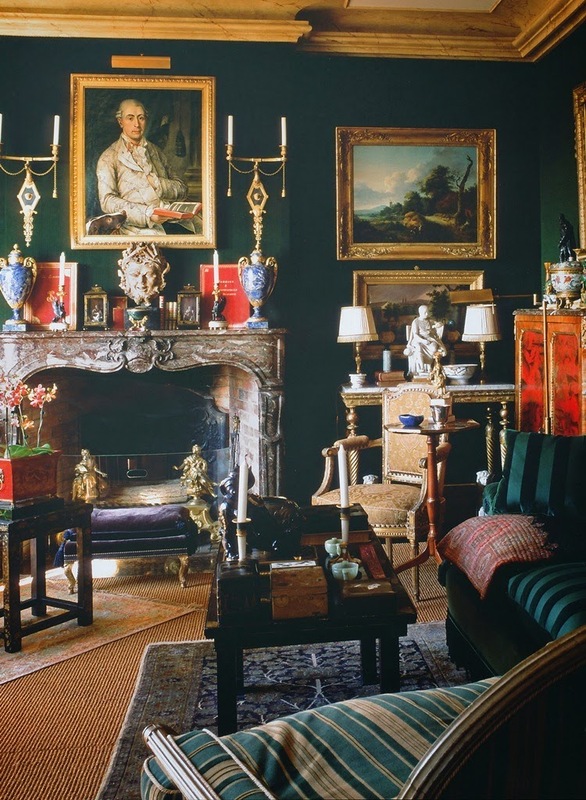 The three photos above, plus the image at the top of the post, show both the Green Salon and a larger living room in the hôtel particulier of Hubert de Givenchy. 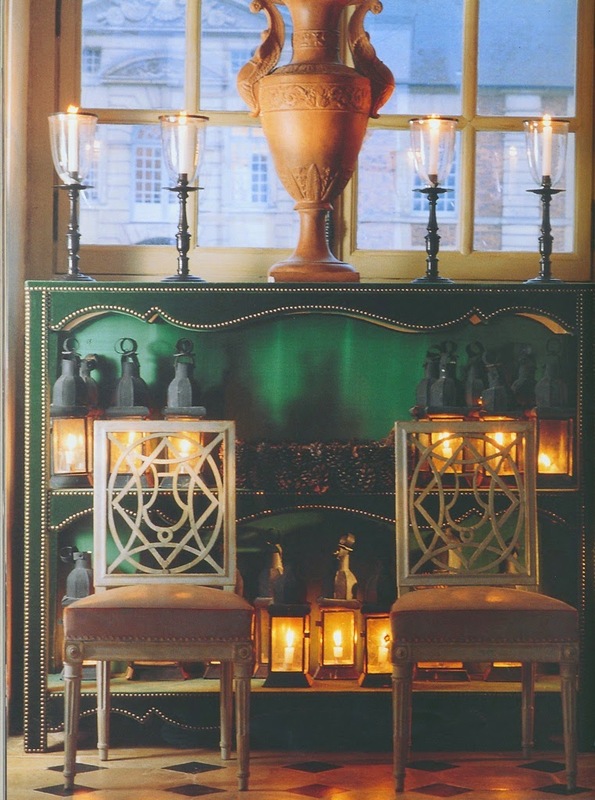 In the Paris home of designer Henri Samuel. 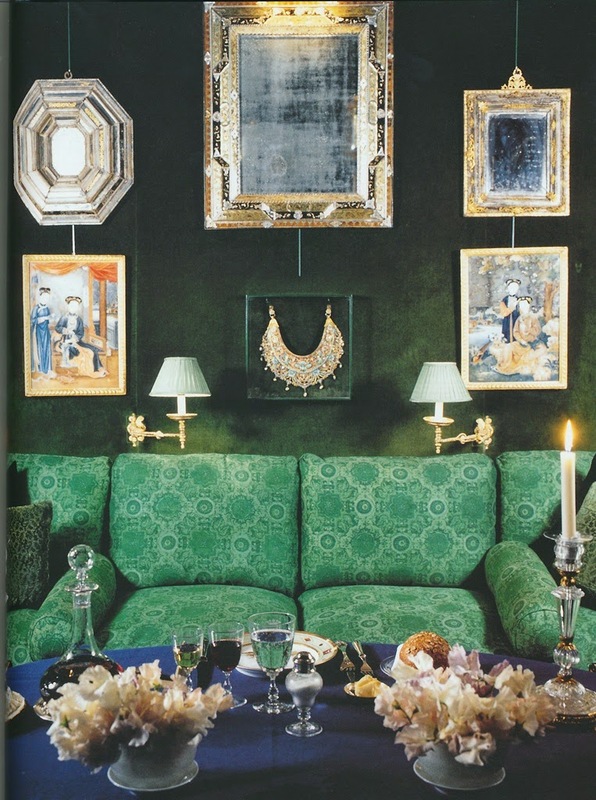 Alberto Pinto's green velvet-dominated dining room. 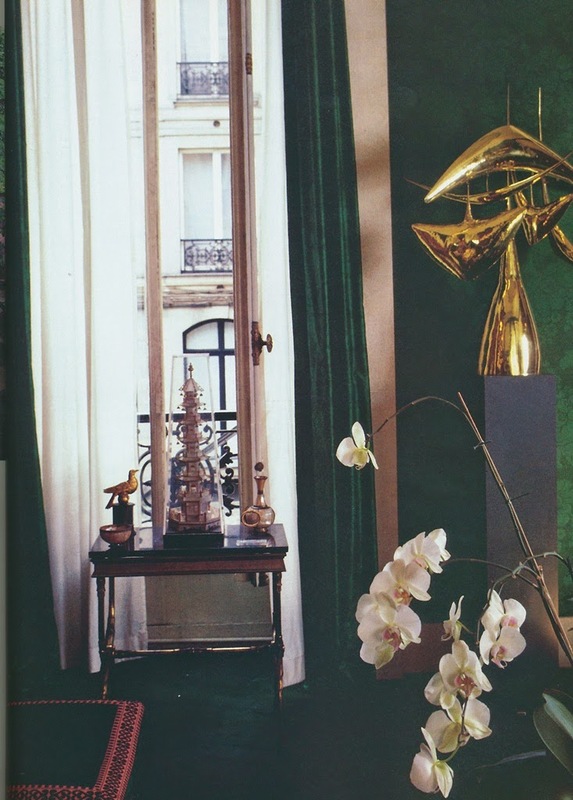 The gallery of the late Alberto Pinto's Paris apartment. 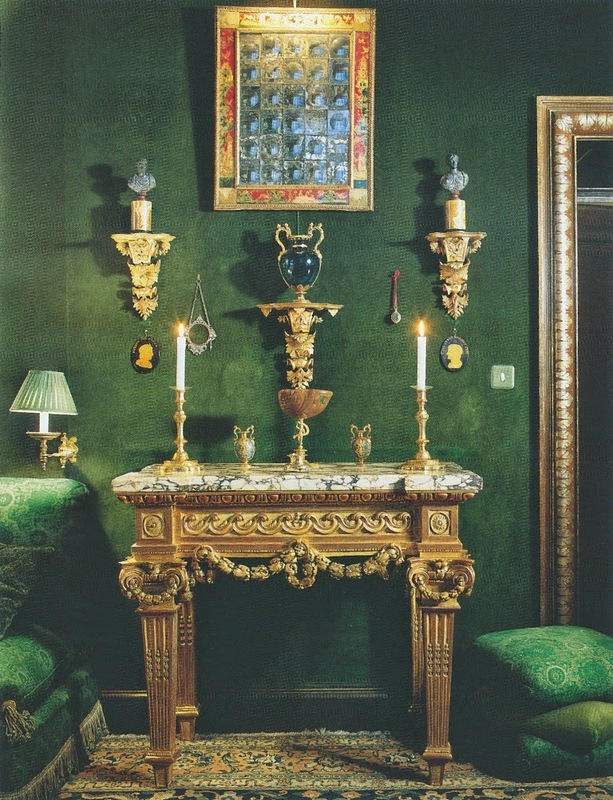 Another view of Alberto Pinto's dining room, which is swathed in green velvet. In the gallery at Château de Bataille, which is the residence of designer Jacques Garcia. 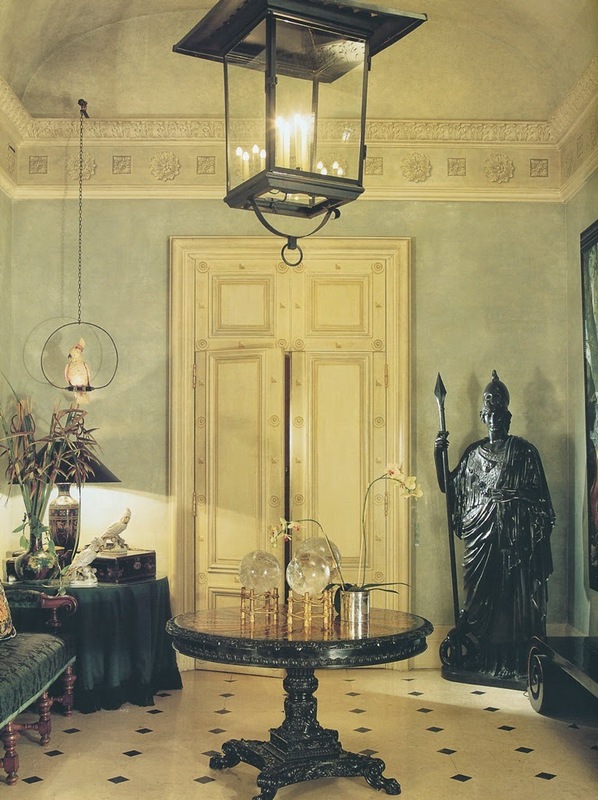 Designer Alain Demachy's dining room. 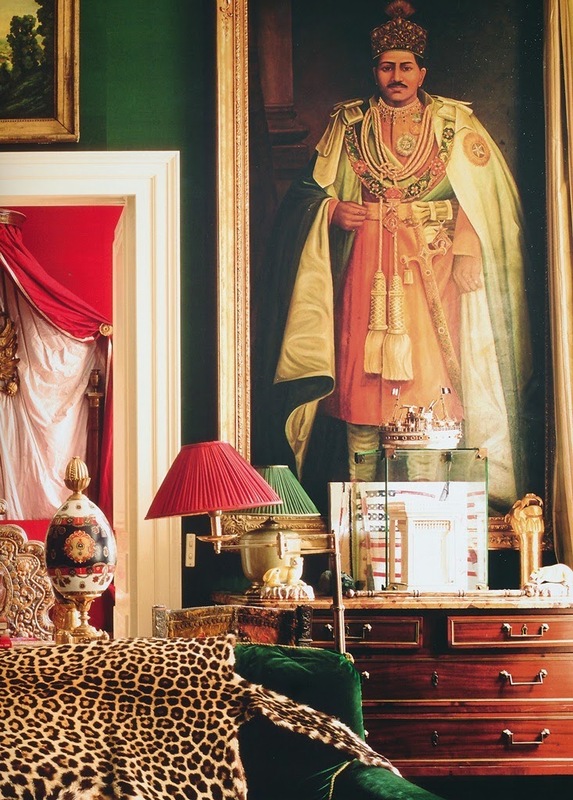 A bedroom in the Paris apartment of Jacques Garcia. 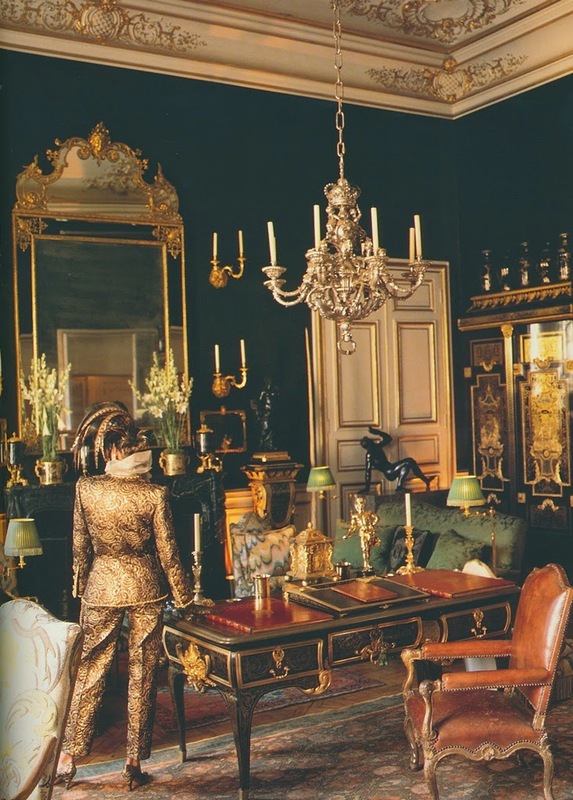 The Paris house of designer Guy Thodoroff. The Paris house of Jean-Luc Gaüzère. 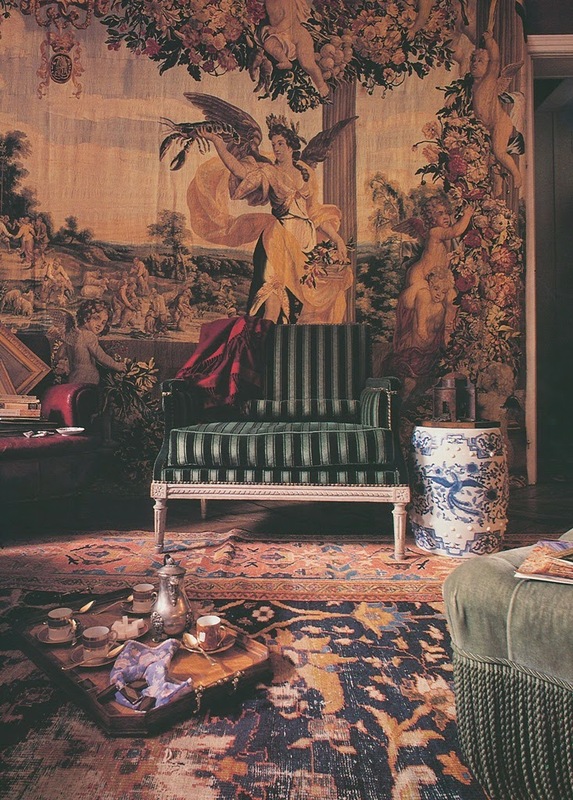 The Paris salon of Hugo Dujour. Living Room in Second Empire Style by Fernand Pelez, possibly 1862. Mario Praz Collection, Rome. 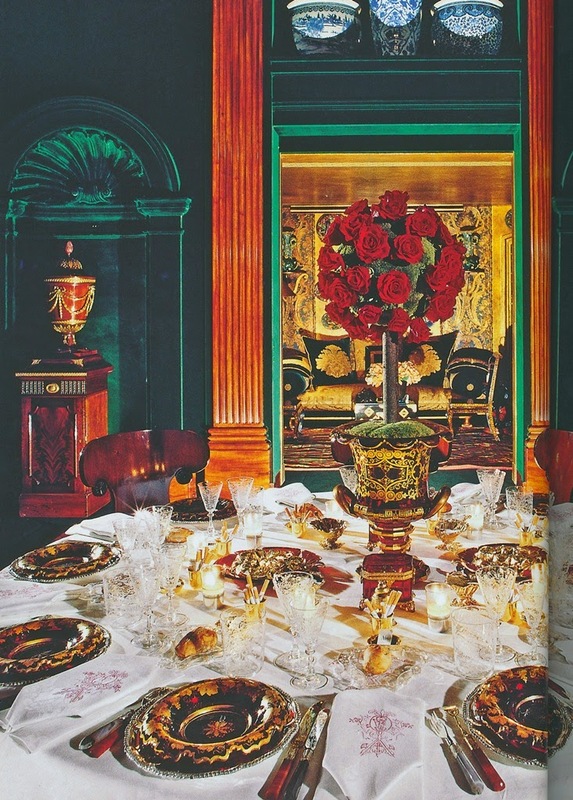 Image #1 and #2 from The Givenchy Style; #3 and #4 from The Finest Houses of Paris; #5 and #6 from The Best of House & Garden; #7 from Table Settings by Alberto Pinto; #8-#13 from The Grand Book of French Style; #14 and #17 from Private Paris; #15 and #16 from Parisian Interiors; #18 from An Illustrated History of Interior Decoration by Mario Praz. Perfection Jennifer! After reading George Stacey and the Creation of American Chic, I had even more appreciation for the shades of green in decor. I am seriously thinking of recreating those lamp shades in Lagerfeld's library! Karena, I think that you should consider recreating those lamp shades. They're lovely! 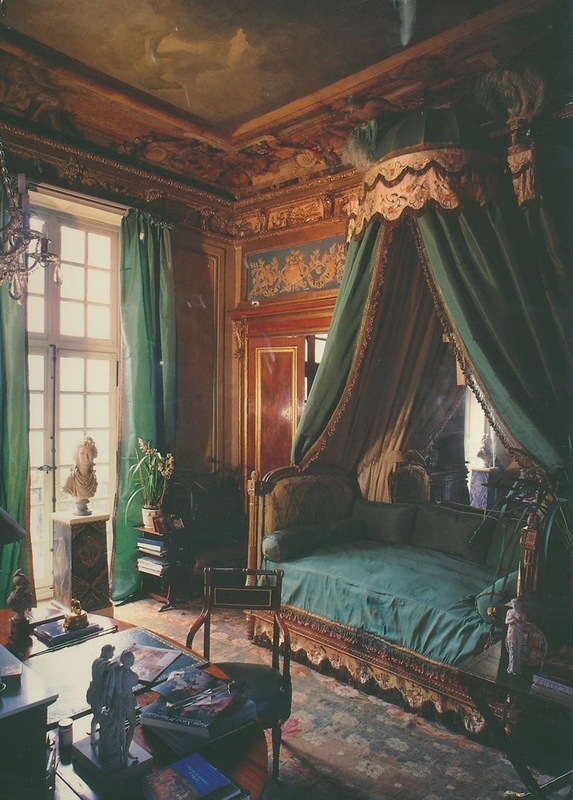 Mustn't forget the Green Velvet Bedchamber at Houghton Hall !! Thomas, That is indeed a lovely green room. One of the best. the Christopher Hobbs faux delft urns are perched on gilt brackets--of which these are merely 2 examples of that potent mix. Toby, Excellent point. Both pairings are classic and always in good taste. I've always loved dining rooms done in bottle green or a rich red - so warm and enveloping at night. When I think of Paris, I think of all those little red shades - will now have to add green silk ones to my memories. As a matter of fact, I may have to think about using them next to my dark green linen velvet sofa (with Fortuny pillows), the next time I need new shades! SRB, I do love a rich red room as well. I'm anxious to get some green silk shades for my home, too. I have been enamored with green lately so this post is most timely for me. 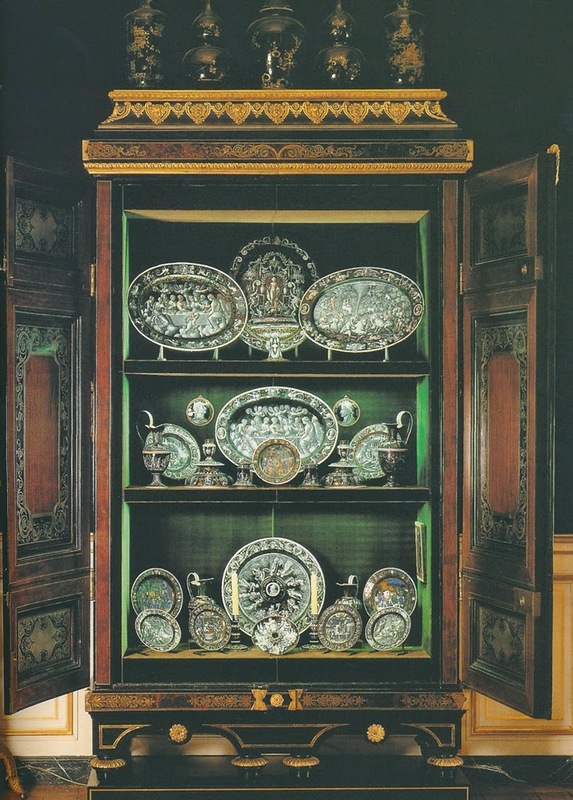 :) I particularly love green with leopard and/or blue and white porcelain china. Thank you for the inspiring images. Green is nature's "neutral" afterall!